This event is strictly for financial services professionals only, it is intended to be useful for (retail) investment intermediaries and financial advisers only. If you are not a financial services professional you will not be able to attend. Please contact us if you have any questions. See Fund EcoMarket Events page for speaker details. Next Event 9 November, Leeds, hosted by RSMR. See www.FundEcoMarket.co.uk/help/events for details. 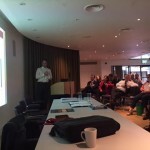 This year’s sriServices Good Money Week London took place at the Museum of London on 19 October. This year’s Fund EcoMarket (financial adviser focused) event will take place at The City Centre – a beautiful part of the Guildhall in the City of London. At this event you will hear about a wide range of SRI issues and developments and have the opportunity to meet the managers of a number of diverse SRI and ethical funds and other options. Objective: to learn about the UK retail SRI market and emerging trends – ‘brought to life’ with the opportunity to meet the managers of some very different investment options. BOOK HERE: via this SurveyMonkey link. The fund managers above all kindly sponsor the free to use Fund EcoMarket fund hub and research tool, which aims to help grow this market. You can visit this tool here. To be kept informed of future events sign up to our ‘inSRI’ Newsletter. www.FundEcoMarket.co.uk is free to use thanks to the support of our sponsors! sriServices will also be supporting Good Money Week 2016 events organised by RSMR (Leeds) and Standard Life at the Gherkin in London. Please see the Good Money Week website for further information. Go to: http://www.sriservices.co.uk/integrating-sri-into-advice-process-iil-pfs-event to download literature and listen to event recording. Sign up to ‘Bringing sustainable, responsible and ethical investment into the financial advice process‘ here. Scroll down page to register. We will be holding a lunchtime SRI event with the PFS / IIL (members only) on Wednesday 11 May at 1.15 in London. Introduction: This event, the first in a new series of quarterly lectures, will introduce how to bring SRI into the financial advice process and why it is beneficial to do so. This session is suitable for those who may have little previous experience in this area. By the end of this lecture members will have gained an insight into the diversity of retail sustainable, responsible and ethical investment options and how to meet the aims of interested investors. You can register here for our ‘Good Money Week adviser conference or you can email Julia@sriServices.co.uk if you prefer. 9.00 – 9.45 Bryn Jones, Head of Fixed Income at Rathbones and manager of the Rathbone Ethical Bond Fund – awarded Money Observer best SRI bond fund 2015. Bryn will be talking about his ethical investment process, opportunities and example holdings. 9.45 – 10.30 – Peter Michaelis, Head of Equities at Alliance Trust Investment – who will be talking about Sense in Sustainability and their award winning Sustainable Futures range as part of their nationwide adviser roadshow series. 11.15 – 12.00 – Julia Dreblow, founder of sriServices & Fund EcoMarket – will be launching Fund EcoMarket v2 and discussing how this tool helps advisers to integrate SRI into their advice processes and make more of this area of growing opportunity. sriServices’ work was Highly Commended in the Corporation of London Sustainable City Awards 2015.
sriServices has partnered with Rayner Spencer Mills for some years now… our collaboration has resulted in the production of an adviser guide and the RSMR ‘Rated SRI Fund’ list, both of which are regularly updated and refreshed. Julia Dreblow will be supporting the RSMR SRI event in Leeds on 22 October and presenting alongside a number of leading ethical and SRI fund managers. Please see the link above to sign up. How can Fund EcoMarket v2.0 help you to offer better advice? Register here for our ‘Good Money Week’ teleconference call for financial services professionals on 19 October. This teleconference aims to ensure that all advisers have access to training on the new Fund EcoMarket v2 – irrespective of geography! Attendees should have access to a computer. Dial in details will be issued shortly before the event. Advisers, in particular PFS members (given the location! ), are cordially invited to attend to an investment event hosted by PFS past President David Ingram of Aim Two Three, which is being supported by Julia Dreblow of sriServices. 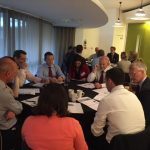 The event has been organised to help advisers make the most of their travel time as it is being held in Birmingham – the day after the PFS ‘Beyond Better’ Conference! Aim Two Three’s (free) Investment Conference takes place on 7th November 2014 at the de Vere Colmore Gate, Birmingham from 10:00 to 15:30… to find out more see agenda. Please contact info@aimtwothree.com for further information. Julia Dreblow is delighted to have been asked to speak at the ‘Social Stock Exchange/ GIIN ‘ event on 12 November – where I will be helping advisers to navigate the ‘SRI maze’ (in its many guises) and talk around how Impact Investment relates to SRI and Ethical Investment. The SRI Fact Finding call has now taken place. To listen to a recording please use this link. If you would like to follow the agenda and links discussed during the event please go to the sub page ’20/10/14′ (see left tool bar). sriServices is delighted to announce that we will be holding a telephone conference to help advisers with their ‘SRI fact finding’ on Monday 20 October, during UKSIF’s ‘Good Money Week’. Why is SRI fact finding important? How can SRI fact finding fit with my existing advice process? What should I say & do? As well as hearing from Julia Dreblow attendees will hear from three experienced advisers – Julian Parrott, Jan Oliff and Richard Essex – who have kindly agreed to talk about how approach this area. *This event is intended for Financial Advisers. Priority will be given to advisory firms and sriServices sponsors/supporters. Attendees will be sent dial in details nearer the time. The following videos document the event that took place this summer – and are the next best thing to having been there on the day! Link to map. Please note the event will take place in the Guildhall Marketing Suite. Registration is now open for the event sriServices and Rayner Spencer Mills Research are running in the Guildhall Marketing Suite in London, on 13 June. Delegates will hear about the RSMR/sriServices ‘Adviser Guide to Sustainable and Responsible Investing‘ and ‘Rated SRI Fund List’. Both of these use the sriServices ‘SRI Styles’ fund segmentation system and the highly regarded ‘RSMR’ Fund Rating methods. This event is for financial services professionals only (specifically – Financial Advisers and Paraplanners). WHERE: The Guildhall Marketing Suite, 80 Basinghall Street, London, EC2V 5AR. This free event has been made possible thanks to sponsorship from Alliance Trust. We are also grateful to our partners Panacea Adviser and UKSIF for their help and support. Delegates will hear from each of these organisations on the day – and will have the opportunity to quiz them during a panel session at the end of the event.